Warner Bros. and Margot Robbie’s next Harley Quinn movie is about to take flight. And no, we’re not referring to Suicide Squad 2. 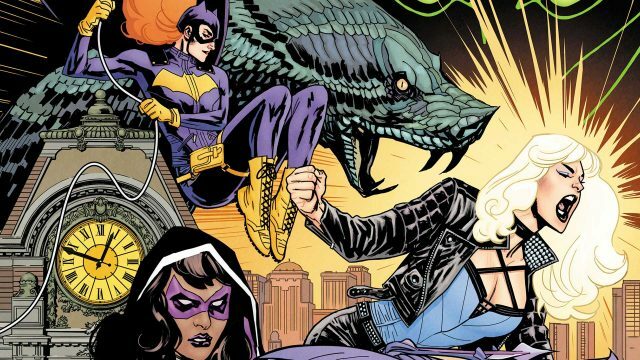 Per Deadline, the studio has officially selected Cathy Yan to direct Birds of Prey, the long-rumored spinoff featuring Harley Quinn, Black Canary, Barbara Gordon (Batgirl) and Huntress. It’s unclear as yet whether all four characters will appear in the end product, but we understand Warner Bros. is now targeting a production start by the year’s end – or, failing that, the beginning of next. Negotiations between Yan and Warner Bros. are still ongoing, too, though we understand Margot Robbie personally requested that this particular DCEU movie be directed by a woman. Should a deal place, Yan will become only the second female director to join the DC club after Patty Jenkins, whose Wonder Woman solo movie proved to be the undisputed success story of 2017. And make no mistake, this is a huge coup for Cathy Yan, whose blistering career as a Wall Street Journal reporter led to her directing numerous short films, culminating in the release of her first feature – Dead Pigs. Her potential addition to Warner’s ever-evolving superhero franchise won’t have any bearing on the other Harley Quinn projects, either, which include that aforementioned Suicide Squad sequel, a Harley Quinn Vs. The Joker, and Gotham City Sirens, which has David Ayer in the driver’s seat. Circling back to Birds of Prey, though, the DC team-up movie will be based on a script penned by Christina Hodson (Bumblebee: The Movie), who just extended her tenure with Warner Bros. after agreeing to course-correct Joss Whedon’s Batgirl. Still no word on a possible release date for that one, but we’ll be sure to keep you posted as this situation unfolds.